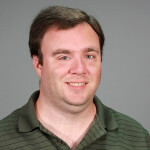 Brian D. Sparks is senior editor of Greenhouse Grower and editor of Greenhouse Grower Technology. Researchers at Colorado State University has spent the last three years studying production methods for increasing efficiency and productivity with three herbaceous perennials. An ornamental disease expert weighs in on what growers can expect in terms of disease pressure in 2019, and how they can prepare. Topics to be covered during the “It’s All About the Workforce” workshop include H-2A reform, recruiting and engaging seasonal labor, and creating a culture of safety in the workplace. At AmericanHort’s CareerUP Workshop at Cultivate’19, attendees will meet with experts who share practical skills to help you succeed in your horticulture career. Agricultural economist Charlie Hall will deliver the keynote address at the 2019 Farwest Show with a look at green industry trends. Career development is one of the key themes of two of AmericanHort’s Saturday workshops that kick off Cultivate’19. Here’s a closer look at two of the workshops taking place. The Southern Nursery Association (SNA) has created a new member program designed to increase exposure to buyers and suppliers in the horticultural industry across the Southeast. Proven Winners will be providing thousands of its ‘Lemon Coral’ Sedum to the Collegiate Plant Initiative, which is conducting “plant drops” across the country. The new production line is designed to significantly reduce delivery times for growers in the U.S. and Canada. IP ratings are an international standard that define an electrical enclosure’s sealing effectiveness against intrusion by solid and liquid foreign bodies. With up-to-the-minute information into your greenhouse operations, you can react quickly when labor-intensive activities are eating up profit and productivity. 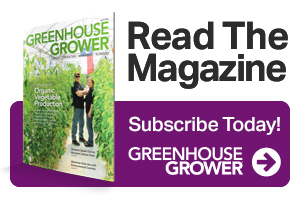 At a time when recruiting and maintaining sufficient labor remains a major challenge, greenhouse growers are using many methods to reduce labor costs and increase efficiency. Greenhouse Grower reached out to four major indoor growers of leafy greens to ask about what they learned from the E. coli outbreak in romaine lettuce in November. Terra Nova will be the only American company exhibiting at the 2019 International Horticultural Exhibition, which will be held in Beijing from April 29 to October 7, 2019. It can be very easy for your workers who transport flats in the greenhouse to quickly spread this virus.